Sores and other problems in and around your child's mouth can be painful and worrisome. Follow this chart for more information about common causes of mouth problems in children. Note: Aspirin should never be used in the treatment of chickenpox, influenza, or other viral diseases because aspirin has been associated with the serious disease Reye syndrome, which can lead to liver failure and even death. In general, aspirin should not be used for children or teenagers except on the advice of a doctor for certain conditions. Is your child an infant, and is the infant drooling or wanting to chew on things? Does your child have red and swollen gums that may bleed when he or she brushes or flosses? Does your child have honey-colored crusting on the mouth that began as an itchy red sore or cluster of blisters? Does your child have a red or purple sore or cluster of sores on a lip or the outer edge of the lips? Does your child have small, open and painful sores that are white or yellowish with a red border on the inner lips or cheek, gums or tongue? Does your child have small, painful bumps on the tongue? Does your child have a small, painless, fluid-filled sac that may be bluish in color on the inner lips, gums, palate or under the tongue? Does your child have creamy white patches on the tongue, inner cheek or gums, and are they painful when scraped? Does your child have a sore or swollen tongue or lips? Does your child have sores or blisters on the face and on the body such as the stomach, chest or back? Does your child have a sore throat and painful blisters on the tongue or mouth, or a rash on the palms of hands or soles of feet? Does your child have a red and sore throat with white patches on the throat or tonsils, and possibly a rash somewhere else on the body? Does your child have painful sores, swelling or redness on the inside of the cheeks and on the gums? Your child may be TEETHING. Use teething rings or let your baby chew on a wet washcloth. Rub your baby’s gums with a clean finger. Wipe off drool to prevent rashes on the baby’s face. Use children’s acetaminophen to relieve discomfort, but call your doctor if the baby develops a fever. Your child may have GUM DISEASE, such as GINGIVITIS or PERIODONTITIS, usually caused by poor DENTAL HYGIENE. Take your child to the dentist. Good dental hygiene such as regular brushing, flossing, dental checkups and eating a healthy diet can prevent gum diseases. Your child may have IMPETIGO, a contagious skin infection. Wash the area 3 or 4 times a day and apply an over-the-counter antibiotic ointment. If the sores spread or don’t get better, call your child’s doctor. Your child probably has a COLD SORE caused by a virus called HERPES. Cold sores will usually go away on their own. Apply an over-the-counter cold sore ointment for comfort. If the sores are painful, give your child an analgesic such as acetaminophen. Avoid pinching, picking or squeezing the blisters. These may be CANKER SORES. They may be caused by viral infections. Canker sores usually heal on their own. To relieve discomfort, have your child rinse his or her mouth with salt water or diluted hydrogen peroxide, or apply an over-the-counter oral gel. You may also want to give your child an analgesic such as acetaminophen or ibuprofen to relieve pain. See your child’s doctor if there is no improvement. These bumps are probably PAPILLAE (where the taste buds are) that have become INFLAMED due to an injury from a burn caused by hot food or drink or a self-inflicted bite. The inflammation and bump will usually go away on its own. Avoid feeding the child hot, spicy and acidic foods. Give your child an analgesic such as acetaminophen or ibuprofen to relieve pain. These may be MUCOCELES, harmless cysts that may be caused by sucking mouth tissue between the teeth. These cysts will usually go away on their own. To avoid infection, do not try to open the cyst. See your child’s doctor if the cysts don’t go away. This may be ORAL THRUSH caused by a fungus growing out of control. This condition usually goes away on its own. Feed your child unsweetened yogurt with live cultures to restore the natural balance of bacteria in the body. Have your child gargle with salt water or use an analgesic such as acetaminophen to relieve pain. If the symptoms get worse or don’t get better, see your child’s doctor. He or she may prescribe an antifungal medicine. Your child may be having an ALLERGIC REACTION. Your child may have CHICKENPOX, a contagious infection caused by the varicella-zoster virus. Give your child acetaminophen to relieve pain and reduce fever. Call your child’s doctor if fever gets worse or doesn’t go away, if blisters look infected, or if new symptoms such as headache or nausea appear. Your child may have HAND-FOOT-AND-MOUTH DISEASE or HERPANGINA, viral infections caused by the COXSACKIE VIRUS. These illnesses must run their course. Avoid giving the child food and drinks that irritate blisters such as spicy, salty or acidic foods. Have your child drink plenty of cold fluids such as milk and ice water. Feed your child non-irritating foods such as ice cream. Have your child gargle with salt water to relieve discomfort and give your child an analgesic such as acetaminophen to relieve pain and reduce fever. 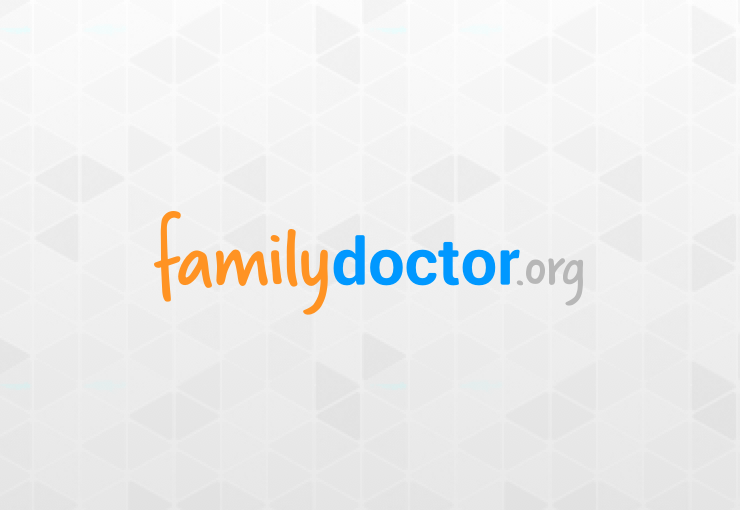 Call your child’s doctor if symptoms get worse or don’t get any better. Your child may have STREP THROAT, a bacterial infection. See your child’s doctor. He or she may want to do some tests and prescribe antibiotics. Allow your child to get plenty of rest and drink plenty of fluids. Give your child an analgesic such as acetaminophen or ibuprofen to relieve pain and reduce fever. Gargling with salt water may relieve some discomfort. Your child may have GINGIVOSTOMATITIS, a condition caused by a viral infection of the HERPES or COXSACKIE VIRUSES. This condition usually gets better on its own. Allow your child to drink plenty of fluids and offer cold, soothing foods such as ice cream or frozen yogurt. Give your child acetaminophen to relieve pain and reduce fever. Gargling with salt water may also relieve discomfort.